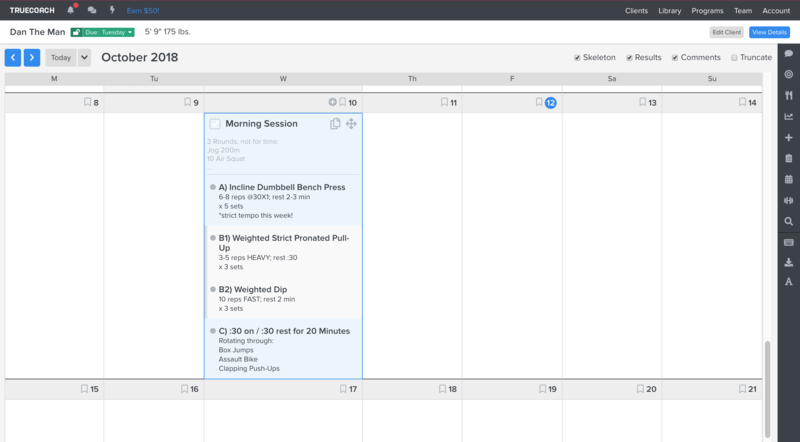 TrueCoach's workout builder & calendar are built on the core concepts of speed, efficiency, and ease of use. Powerful enough to make your life easier, but not too overwhelming and time consuming it completely defeats the purpose of using it. 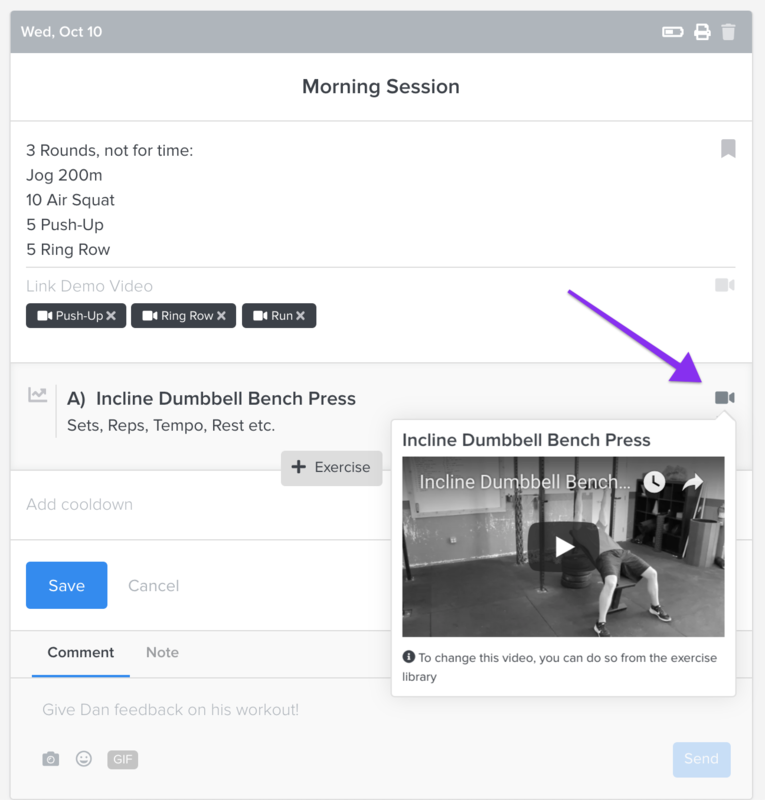 To start creating a workout for a client, click on a client's name from anywhere in TrueCoach. 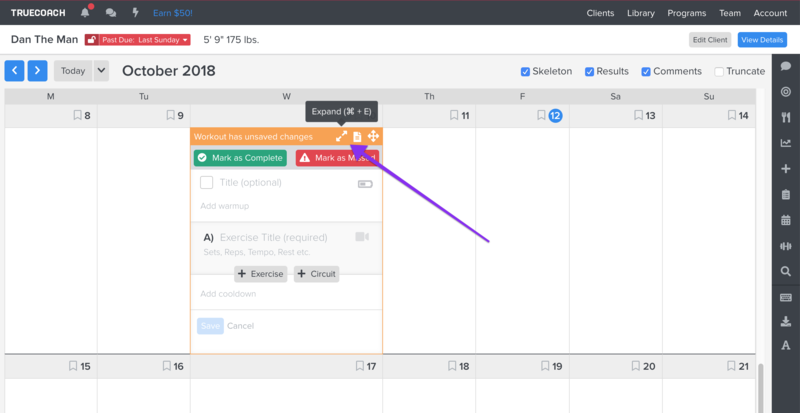 By default you'll be taken to the month's calendar view that will show an overview of your client's workouts. 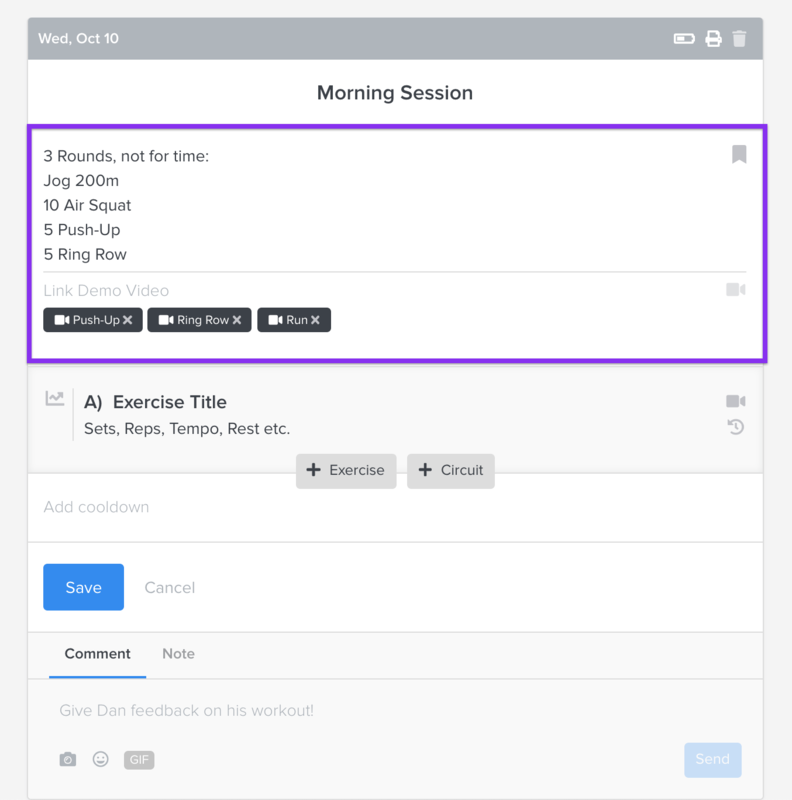 To create your first workout hover over the desired day and click the Add Workout icon. 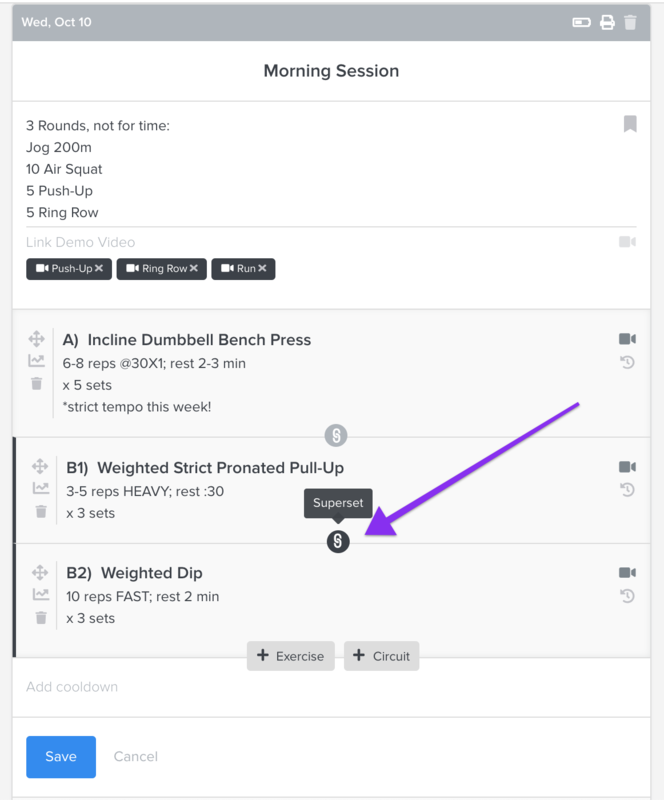 To access the expanded workout builder, click the expand icon in the top right corner of the workout. 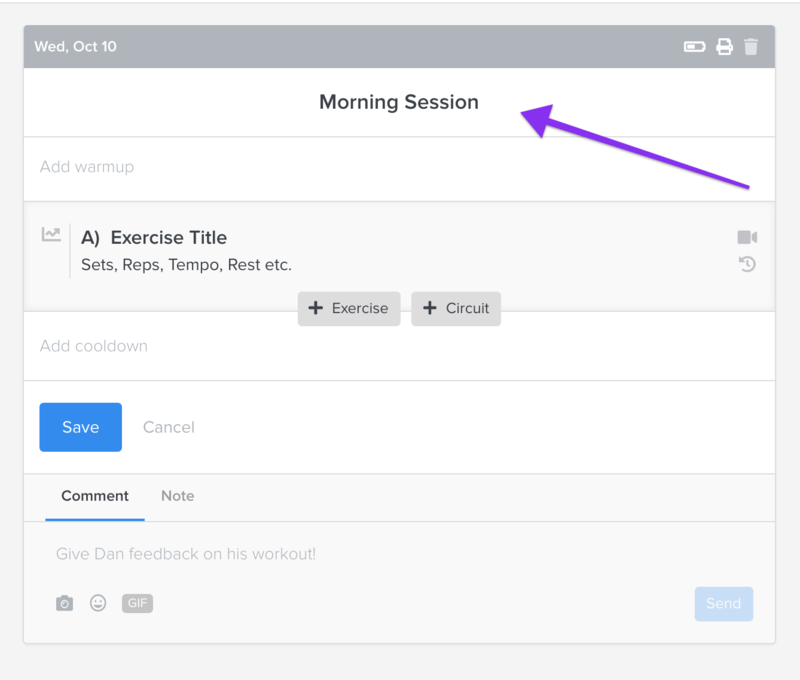 To add an optional title for the workout, click in the title field at the top of the workout. The workout's title will be visible to the client. Next you can add a warm up. The warm up section is an open text field and will display to your client exactly how it's entered here. You can include as many demo videos as you'd like using the Link Demo Video field. Next we'll start adding exercises to the workout. When you begin typing your exercise name you'll see a list of options to chose from. By default, Central Athlete's library of 900+ movements are included in your TrueCoach account. To select an exercise you can either finish typing the name, clicking on an option, or using the arrow + tab/enter keys to select an exercise. To preview the video included click on the camera icon. Next you can add the number of sets, reps, tempo, rest, etc. The exercise description is an open text field and will display to your client exactly how it's entered here. 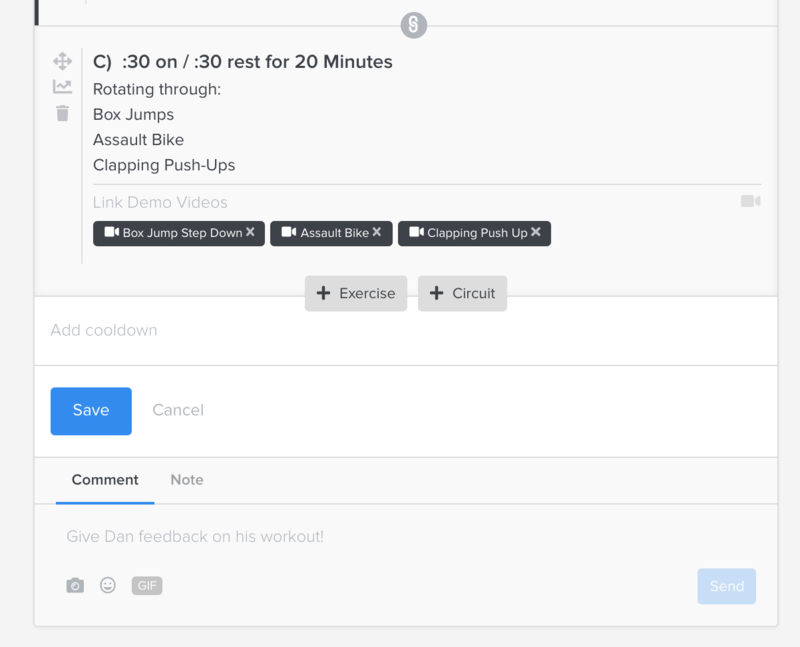 When you've finished adding your first exercise you can click to add another exercise or a circuit. To combine multiple exercises in a superset you can click the link icon between two movements. You can link as many movements as you'd like. An Exercise is a single movement measure by sets, reps, tempo, rest, etc. A Circuit is a series of exercises grouped together in an EMOM, AMRAP, Circuit, etc. You can add a Circuit by clicking the + Circuit button. The circuit description is an open text field and will display to your client exactly how it's entered here. Finally you can include a cooldown. The cooldown section is an open text field and will display to your client exactly how it's entered here. This field behaves exactly like the warmup. To finish working on your workout, click Save. 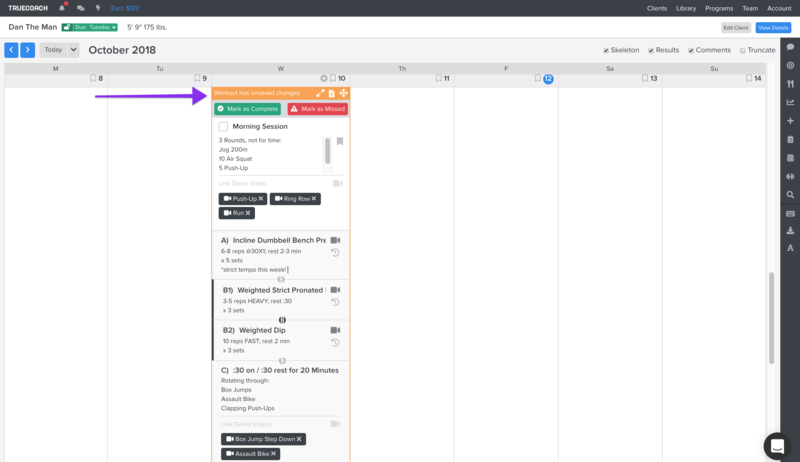 After saving your workout it will be added to the monthly calendar preview. You can come back and make changes to your workouts anytime. 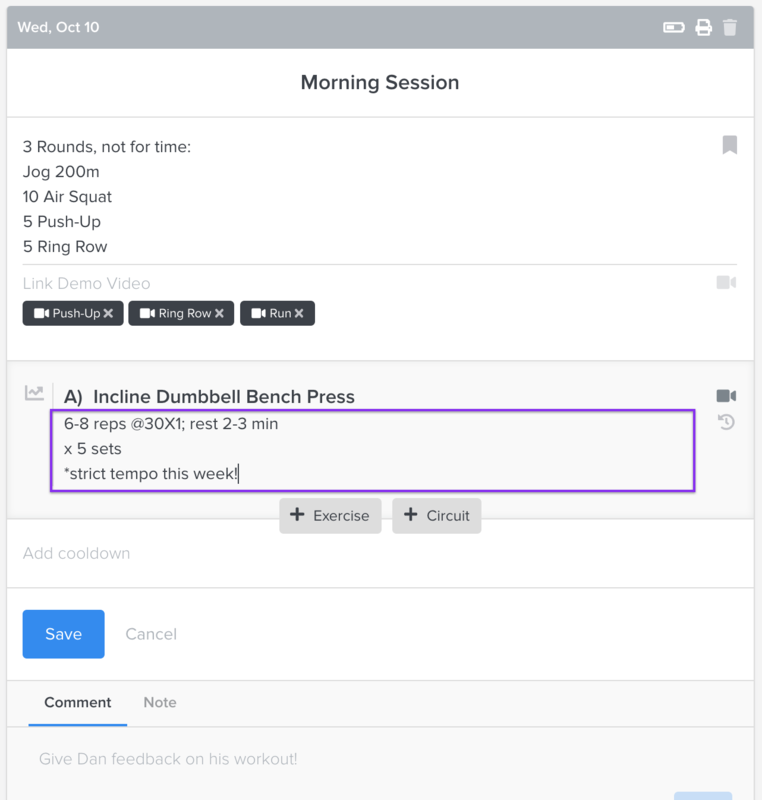 To make edits to your workout you can click and edit right in the client's calendar view. To finish making changes, click Save. 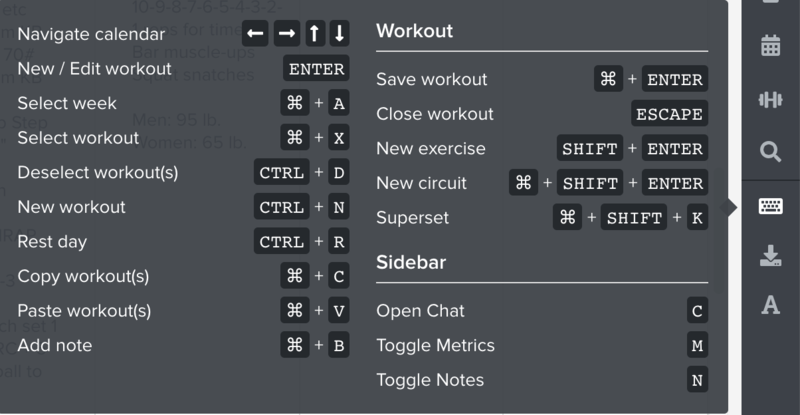 If you want to leverage the full power of TrueCoach's workout builder, be sure to check out the keyboard shortcuts we've added for workout creation. You can create an entire workout without taking your hands off of the keyboard.